Top 7 myths about Linux and why you should start using Linux! As of today, I have been using Ubuntu (exclusively) for 21 days and looks like I'll keep using it for a long time. Although I had been thinking of using or rather say learning to use Linux for more than two years, it took me seeing through my eyes a person actually using it effortlessly that finally convinced me to start using Linux. I was not sure if I could survive by using Linux alone (I had heard the rumors that Linux was too difficult for ordinary people to use and lacked the myriads of useful applications as in Windows). So, I dual booted (installed two operating systems) my laptop with Windows 7 and Ubuntu 11.04 aka Natty Narwhal. Ubuntu 11.04 failed to boot at all! My fears of losing my data resurfaced and I wanted to run back to the covers of Windows 7. Later, I came to know a misconfiguration (easily fixable by laymen) had caused the problem. But then, the geeky pride in me prevented me from giving up and compelled me to give it another try. 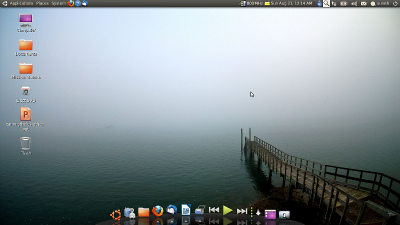 So this time I installed Ubuntu 10.04 aka Lucid Lynx. I haven't had to boot Windows (except to transfer my remaining files) ever since. Myth 1: Linux is not as easy and user friendly as Windows. Linux is too difficult for ordinary people to use. It requires writing codes and knowledge of programming to get things done. Not at all. Not only is it as easy to use and as user friendly as Windows,it's even more so because of the quick updates and creative features developed by thousands of programmers around the world. No knowledge of programming is required at all and some versions of Linux like Ubuntu, Edubuntu are being used to teach computers to young students for the first time. Myth 2: It's hard to install. There are high chances of my data being lost and I'll have to migrate all my data from Windows through a tedious process. I installed it within 30 minutes almost by clicking next, next and next only. Not only the installation process asked me time and again what I wanted to do with my data but it also showed me graphically what my hard drives would look like if I chose a certain option (cool, aint it?). But the coolest thing is, I can access all my files, folders and date stored in my Windows partition and work on them easily through Ubuntu. Myth 3: There are not enough applications for Linux. 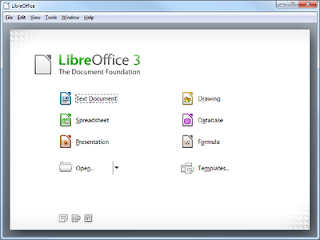 I won't be able to use with Microsoft Office documents and presentations. Not enough applications? Well, as far as my experiences goes for the last three weeks, I have been overwhelmed with so many cool applications to choose from to perform almost any job a computer can perform. There are just too many alternatives for any program you must have been using in Windows! And best of all, in Linux you just don't have to worry if the software is trial version, demo version or shareware. I have already installed 100 plus applications and every one of them was free and almost every one of them was open source. In fact, some of the very popular applications used by general users are open source and run flawlessly in Linux such as Firefox, VLC media player, Thunderbird, Pidgin, Eclipse, Audacity etc. For your word documents, excel sheets and presentations there are two cool application you can use in Linux: Open Office or Libre Office . Both are free to use and come packed with features and are updated with new features every six months or so. Myth 4: Linux is not compatible. It's hard to find drivers. As I interacted with a couple of members of the Ubuntu community I came to know: there are very few instances of hardware and software remaining that can't be used with Linux. If you are using a well known brand (which one isn't in today's world?) 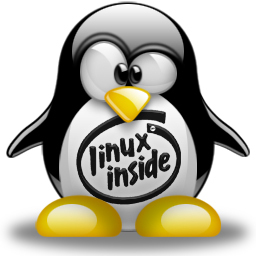 , it's very likely that Linux will run easily and almost flawlessly. Myth 5: If something goes wrong, there is no place to turn for help. I encountered a problem with my DVD drive once and as mentioned earlier with Ubuntu 11.04. When I posted my plea for help in one of the Ubuntu forums, I got a reply within 20 minutes and it worked. Unexpectedly, I also got a couple of more replies telling me how to perform the steps the first reply had mentioned because i had mentioned I was new to Linux. I am so surprised by the huge community of Ubuntu users & experts and their eagerness to help! Myth 6: Linux's interface is not as attractive as Windows. As i have experienced, this myth usually derives from myth mentioned in number 1 i.e. since Linux isn't user friendly, it's interface is not attractive as windows. I found this is the greatest myth of all. Compared to the aero effect in Windows, the effects in Linux are AWESOME! Rotating cubes for different desktops, wobbly windows, animated window behavior, inherent cool effects like watery desktop etc will make you conclude that it's windows that's ugly not Linux! I wouldn't say the same for Mac though, it's equally awesome! Myth 7: You can't play games in Linux. It's true only until you download two wonderful programs called WINE and PlayonLinux. 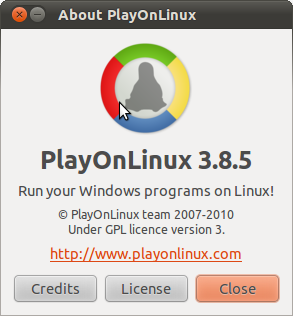 Once you have these programs installed, "you can't play games in Linux" is just a myth. However, if you are seriously into gaming then I guess Linux is not for you yet as there are couple of games yet to be supported fully by Linux. Well, that's it. I hope I have been able to convince you to switch to Linux (Ubuntu) although getting a Linux (couple of hours to download the latest version or Rs. 50 for the DVD) is as costly as getting the latest version of Windows in Nepal (Rs. 50 for the DVD). But the real reason you should start using Ubuntu or any other linux distro is not because they are free but because they are AWESOME!